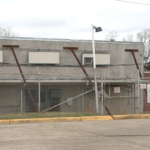 Pike County residents will soon have the chance to give feedback for a new county jail. County leaders have been working to decide on possible locations for the new building. Pike County Commission chairman Robin Sullivan says a new jail is long past due. The project has been in the works for about two years. In 2017, a bill was passed that allowed the Commission to begin collect a tax increase designated specifically for the jail. The tax included a 1.5% tax increase in part of Pike County and a 0.5% tax increase inside Troy city limits. Sullivan says the commission enlisted the help of Montgomery’s TCU Consulting Services last year to provide several options to choose from. “We’re in the process of collecting data. We’re in the process of getting local feedback. We’re setting up local meetings for everyone to give their feedback so we have what the public wants,” Sullivan says. There are seven options range from $19 million to $30 million dollars. Some include building the new facility right beside the current building. Others involve building the structure elsewhere. “It’s very important that we look long term and are sure that we plan for the future so no one will have to worry about this for many generations to come,” Troy mayor Jason Reeves says. Sullivan says TCU Consulting Services will decide the exact dates to hold the public meetings. Reeves says he hopes everyone will help get involved in the decision-making. The Pike County Commission says TCU will be in charge of the public meetings. They will be scheduled in the latter part of January or early February. Sullivan says he’s hoping to have a location chosen by the end of the year.